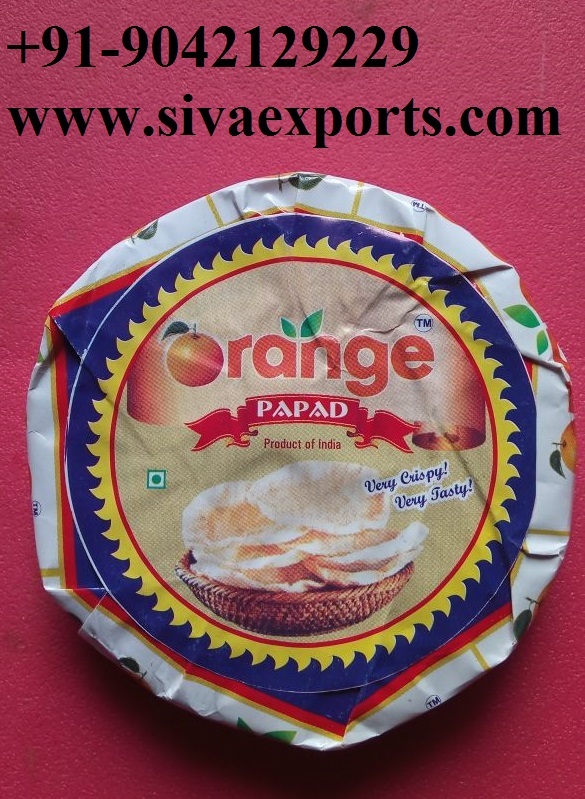 The Best place to find the List of Papad Manufacturers in India is http://www.sivaexports.com. Siva Exports is one of the leading manufacturer of papad from Madurai, Tamilnadu, India. Since We are manufacturing fine quality papads for over 6 decades. Till We are producing papad in pure excellent environment. Also we are one of the best papad manufacturers in the world. Also Orange Papad is one of the most popular brand we supply all around the India. Urad dhall, Rice flour, fresh oil, salt, papad khar etc. Available from 2″ to 5″. Appalam papad from South India is supplying under the brand name Orange Papad. Our Papad are make from the finest ingredients, hygienically processed and specially packed for the required shelf life. Also They are thin, crispy & a great accompaniment to your meal. Enjoy our range of Papads. Our procuring agent do immense market research are try to find out the basic demands of our clients through feedback given by our clients and serve them with the best. The products offered by are packed in safe and hygienic packaging options in order to retain their freshness and purity for long period of time. We have a huge client base All Over the World. By means of our principled trade practices and competitive price structure, we are able to please our clients absolutely. Moreover, our wide distribution network assisted us to enhance our products reach. We are one of the best papad manufacturers in india.